It turns out that these dots are photophores, which are little organs that produce light (often referred to as bioluminescence). The fish belong to a genus named Porichthys, and they're actually part of the same family, Batrachoididae, as the Oyster Toadfish from two posts back. The 15 species that make up the genus Porichthys are commonly known as Midshipman Fishes, because the 700+ photophores that adorn their epidermis are said to resemble the gleaming buttons of a naval uniform. Why do the midshipman fishes have these photophores? That... is a good question. A number of functions have been hypothesized. One hypothesis is that they function to aid in prey capture. The idea here is that the Porichthys pattern of luminescence mimics the light of a small swarm of krill (Tsuji et al 1971). This might allow the midshipman fishes to approach such a swarm undetected and then easily feed on them. Or perhaps this sort of mimicry could even lure the krill swarms to the fish. As far as I could find though, this hypothesis hasn't really been tested. Another hypothesis is that the photophores function in something known as "counterillumination." This is a form of bioluminescent defense against predators that is used in many types of organisms, including crustaceans and various fishes. Essentially what happens is that an organism using this "counterillumination" will use photophores on its underside to match any dim light coming from the surface of the water. In so doing, they can make a potential shadow disappear and thus camouflage themselves. This hypothesis has actually been tested and supported! It's been showed in laboratory experiments that midshipman fishes can match the intensity and color (among other things) of downwelling light (Harper and Case 1999). This hypothesis also makes intuitive sense because most of the photophores are concentrated on the bottom of the fishes-- where they would need to be for counterillumination. One last hypothesis is that the glowing photophores function in courtship (Crane 1965). Various authors have expressed skepticism about this hypothesis, however, because there is a population of midshipman fish in Puget Sound, Washington, that has no luminescence capability, yet they still live and reproduce successfully. If the photophores were necessary for courtship, the Puget Sound population shouldn't exist (Warner and Case 1980). How do midshipman fish get their ability to glow? By eating tiny bioluminescent crustaceans called ostracods. 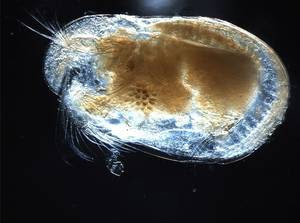 Without ostracods, the midshipman fishes' photophores are useless. This is where midshipman fishes get luciferin, which is a compound that bioluminescent organisms need to emit light. Many organisms produce luciferin on their own, but others, like the midshipman fishes, have to acquire it through their diet. It was actually the Puget Sound population of midshipman fishes that clued scientists in to the fact that midshipman fishes get their luciferin from ostracods. It turns out that the Puget Sound population has no luminescence capability because the there are no bioluminescent ostracods for them to eat there (Warner and Case 1980)! They can easily luminesce, however, if they are fed the proper ostracods. Oh, one more thing before I sign off. Just like the toadfishes, the male midshipman fishes also make humming sounds with their swim bladders! (Like I mentioned earlier, the midshipman fishes are part of the same family as the toadfishes). Instead of people living on the east coast though, it's the people in San Fransisco Bay who are kept awake by their mating calls. You can listen to them hum on this little feature by NPR. And here's one last picture of one of our specimens, species Porichthys porosissimus, collected in the Gulf of Mexico off Galveston, Texas, in 1932 by the vessel Mabel Taylor. *I should note that Jack is no longer a midshipman, although I think he was when that photo was taken. 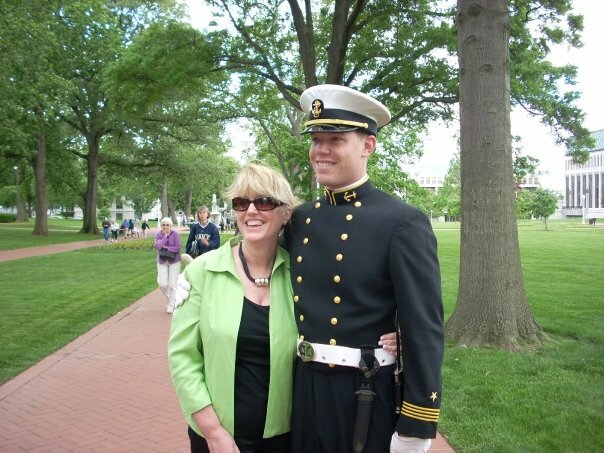 He graduated from the Naval Academy in 2008 and is now a fully commissioned Navy pilot serving in the Middle East. Crane, J. M., 1965. Bioluminescent courtship display in the teleost Porichthys notatus. Copeia, 2 : 239-241. Harper R.D., Case J.F. 1999. Disruptive counterillumination and its anti-predatory value in the plainfish midshipman Porichthys notatus. Mar. Biol. 134: 529–40. Tsuji F.I., Haneda Y., Lynch III R.V., Sugiyama N. 1971. Luminescence cross-reactions of Porichthys luciferin and theories on the origin of luciferin in some shallow-water fishes. Comp Biochem Physiol 40A: 163-179. Warner J.A., Case J.F. 1980. The zoogeography and dietary induction of bioluminescence in the midshipman fish, Porichthys notatus. Biol Bull mar biol Lab, Woods Hole 159: 231-246. Once again very interesting Jordan, I look forward to your next post. Now I want to see one of the midshipman fish in its natural habitat to see it actually illuminate.